Comfy Leg and Foot Warmers with plush fleece lining. 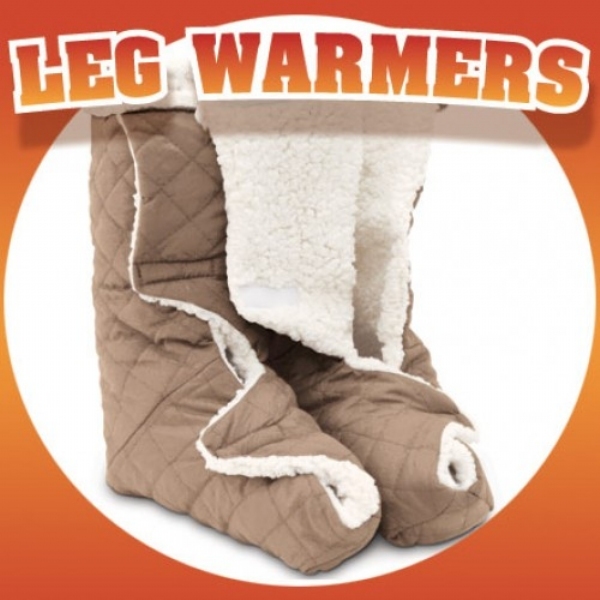 Comfy Leg and Foot Warmers with plush fleece lining provides warmth, comfort and promote circulation. The Leg and Foot Warmers easy-on, easy-off design opens all the way to the toes and allows for a custom fit with the hook and loop touch closure. Perfect for use in bed, wheelchair or recliner. Cotton/poly upper, poly/acrylic fleece lining. Machine washable. To keep legs and feet warm when sitting in the evening. I think the tags above said it all. I have diabetic neuropathy and these help keep my feet feeling warm! This was a gift for someone. He said that they fit wonderfully, they were quite warm and very comfortable to walk around in. I was worried that they wouldn&apos;t be that large, when they say large, they mean large.